A small group of student scientists from the School of Industrial and Aeronautic Engineering of Terrassa in Italy have created a new type of fuel cell that generates hydrogen from aluminum waste. 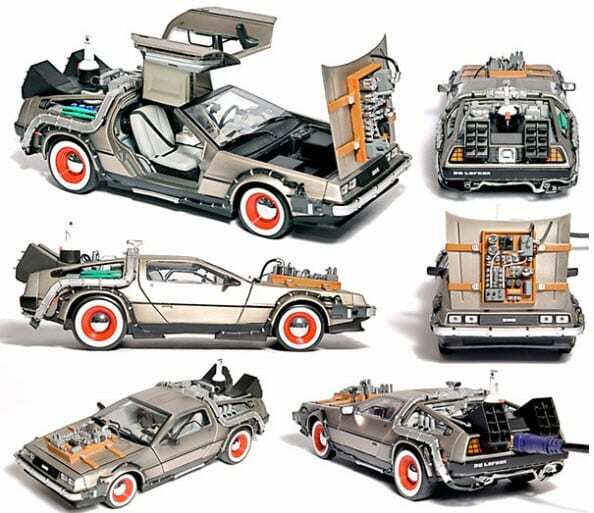 The group draws its inspiration straight from the annals of science-fiction, basing their design on the DeLorean featured in the film Back to the Future. toy. The miniature fuel cell attached to the car uses aluminum tabs from old cans of soda and water, using sodium hydroxide as a catalyst. As chemical reactions take place in the fuel cell, hydrogen is produced, which is then converted into electricity to power the car. This is one of the few times that a fuel cell system has managed to self-generate hydrogen. Moreover, the fuel cell design is being lauded for its impressively clean operations. The system uses vinegar as a filter to remove dangerous hydroxides produced during chemical reactions. In its wake, the car leaves a small trail of salt water, which is the chemically identical to the water used to season a popular brand of chips in Italy. Despite the small size of the model, the project cost just over $1,000, further displaying the expensive nature of fuel cells.